Himmat Rai carded three-under 69 in the third round at Ho Tram Open. Himmat, who scored 66 and 69 in the first two rounds respectively, got to his 54-hole total of 10-under 203 total to share the spot with Thai veteran Thaworn Wiratchant (68) at the Bluffs Ho Tram Strip course. Wen-tang holds a two-shot lead over Spaniard Sergio Garcia (68) and Shaun Norris (65) of South Africa. American Paul Peterson (68) will start the final round four shots back of the leader. Himmat got a birdie on the first hole before making a double bogey on the par-three fourth hole. But he recovered and accumulated birdies on the fifth, sixth, 12th and 16th holes. "I played really good and to my strategy. It is about sticking to the routine and doing it over and over again. It was good how I bounced back from the double bogey. During the round, I didn't even remember I made a double bogey. For the whole day, I was trying to hit it one shot at a time," Himmat said in an Asian Tour release. "I regrouped well from the double bogey and didn't feel down. That's something I can learn from this round and use it in future rounds. I played earlier in the year on the Asian Development Tour (ADT) in a typhoon in Taipei. That really helped me get used to play in these conditions." Next best Indian was veteran Jeev Milkha Singh, who scored 68 to be tied 29th on two-under 211 total. One shot behind him was Gaganjeet Bhullar (two-over 73) at the joint 34th spot. 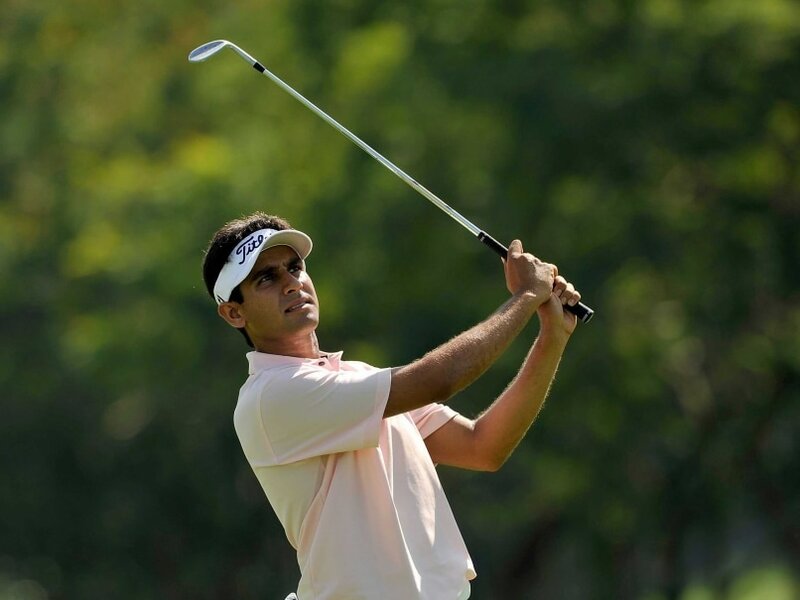 Rahil Gangjee was tied 40th on even-par 213 total following a 71, while Khalin Joshi scored 76 to be 65th on 219 total.